Do not set thermostat at a cooler setting than normal when turning on the air-conditioner. It will not cool faster. It will just cool at a lower temperature than what you need and will consume more energy. Check filters at least once a month. When the filters are dirty, the fan has to run longer to move the same amount of air, and this consumes more electricity. Turn off window air-conditioners when leaving the room for several hours. 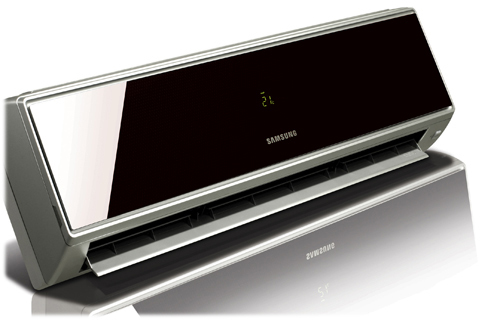 Use a fan with the window air-conditioner to spread the cooled air farther without increasing power consumption. However, the air-conditioner must be strong enough to help cool the additional space. Do not place lamps or TV sets near the air-conditioning units. This could cause the compressor of the air-conditioner to run longer than necessary. Keep air-conditioned rooms less cool. Use properly the thermostat to regulate the room temperature. Do not turn the thermostat always. Check the doors and windows of the air-conditioned rooms for leaks. Drape the windows with heavy cloth or use blinds or shades to prevent sunlight from penetrating into the windows. It will remove disturbing glare and reduce sun’s heat input into the room by up to 80 percent. Clean filters at least once a month. A clogged filter reduces the cooling ability of the air-conditioning unit. Keep doors closed at all times. Minimize the traffic of people going in and out of the room. Locate the air-conditioner in the coolest side of the room. The best is usually the northern side, away from the morning and afternoon sun.